Much more than a list of words, this book teaches what it means to truly communicate and connect with other human beings both at work and in life. Studies show that higher levels of human connection brings you more influence, more success, and more happiness. 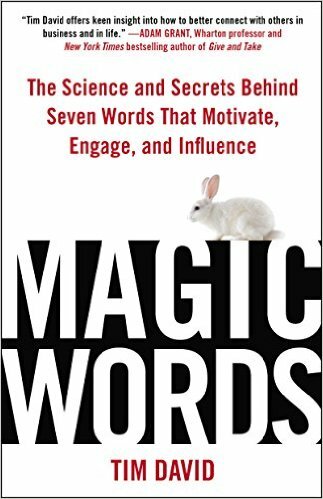 Life is all about relationships and the strong, science-based communication ideas in this book will improve yours…almost like magic. AVAILABLE NOW. Click your favorite retailer below to order one or more copies.